UCHealth is a $3.3 billion organization with more than 17,000 employees and a large, integrated network of hospitals, clinics and practices providing community-focused medicine. We are also a driving force in research, attracting more than $680 million annually in federal funding. It is a powerful partnership that provides unparalleled patient care in the Rocky Mountain region. Together our Northern Colorado, Metro Denver and Southern Colorado regions provide unparalleled patient care in the communities we serve. 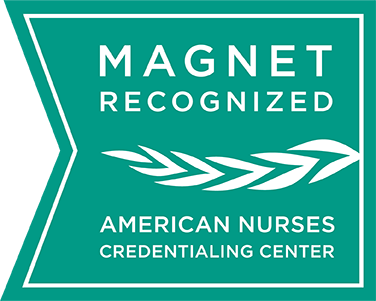 With Magnet® designations at several of our hospitals, multiple “Best Hospital” rankings by U.S. News & World Report, and several Nightingale award winners, our system improves lives. Driving many of UCHealth’s innovations is our academic medical center, which is ranked regularly in the nation’s Top 10. Located in Aurora, Colorado, on the Anschutz Medical Campus, University of Colorado Hospital—staffed by physicians from the CU School of Medicine—hosts hundreds clinical trials and initiates research funded by the National Institutes of Health. This ongoing pursuit of new treatments and findings allows UCHealth to make advances across the medical spectrum. UCHealth has a history of listening to and valuing the contributions of its doctors and advanced practitioners. We are also among the top performing health systems in both community medicine and academic medicine. Longs Peak Hospital —opened August 2017. Medical Center of the Rockies in Loveland, CO —named by University Health System Consortium (UHC)/Vizient as 8th in the nation for a high performing community hospital. Poudre Valley Hospital in Fort Collins, CO —Named by University Health System Consortium (UHC)/Vizient as 1st in the nation for a high performing community hospital. University of Colorado Hospital in Denver, CO —named by University Health System Consortium (UHC)/Vizient as 10th in the nation for a high performing academic hospital.